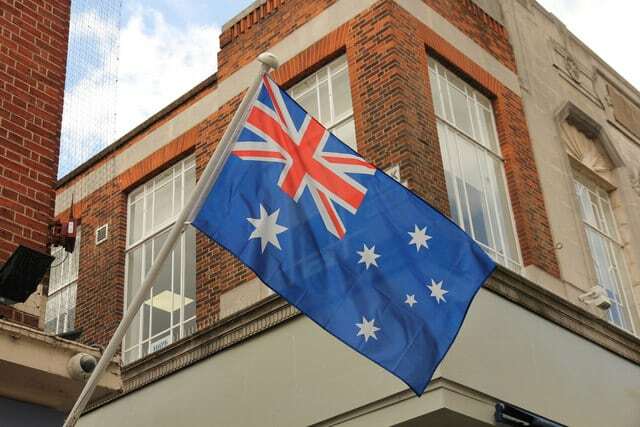 Australia’s media watchdog, the ACMA (Australian Communications and Media Authority) has recently launched a new investigation into a number of offshore sites that provide gambling services to local residents. The goal of the investigation is to inspect the legality of the offshore operators, a number of which even offer gamblers an opportunity to use Bitcoin to gamble online. As reported by ABC Australia, ACMA’s investigation targets several betting sites which have acquired web domains with the “.cc” extension – an extension reserved only for businesses from within the Cocos Islands. The Cocos Islands are located in the Indian Ocean and they are governed and regulated by the Australian government. But when it comes to web addresses, they have their own unique internet code. The sites registered under the “.cc” domains reportedly offered a wide range of gambling services to Australian punters, including casino games and live betting on a number of popular sports in the country like Super Netball and Capital Territory Soccer. A few of the registered domains were also set up as Bitcoin casinos that allow deposits and withdrawals in cryptocurrencies. However, as the media portal reported, the location of these gambling operators was actually traced back to a number of other territories, including Eastern Europe and the Caribbean Islands. The ACMA was thus prompted to investigate whether the operators breached the local IGA (Interactive Gambling Act) by operating the said domains. According to the Act, offshore operators are forbidden to provide gambling services to local customers and so are any operators that are based in an Australian territory but don’t hold an Australian license. A local expert on gambling legislation, Dr Charles Livingstone, thus believes that these operators directly breached the law as they were using Australian domains but weren’t registered in a jurisdiction of the country. Operating without an official local license isn’t the only issue of the reported casino operators. Per the law, even locally-licensed sites are not permitted to provide live sports betting services which the domains under investigation freely offered. Furthermore, a portion of these sites were also allowing wagers to be placed through Bitcoin, Ethereum, and other top cryptocurrencies – a service that isn’t regulated by the local gambling legislation. The latest investigation is also not the first time ACMA has investigated breaches of the IGA by offshore gambling operators. Prior to this case, in March 2018, the media watchdog investigated the abuse of the “.cx” domain extension which was reserved for yet another external territory of Australia – the Christmas Islands. Namely, a few months back the JustBet gambling site was caught operating with a “.cx” domain name without being registered or located in an Australian territory. The site was then tracked to Central America, and after ACMA’s investigation, it eventually dropped its former domain name and reopened with a “.co” web address used by Colombian businesses. The site also closed its doors to Australian punters after its re-launch and began to focus on other territories instead. If the currently-investigated operators are also officially found to be in breach of regulations, they are expected to follow suit and cease to cater to Australian punters.